The court said that she is "resting comfortably" at the hospital, although the addition of "malignant" to the diagnosis probably leaves a dismal outlook to her chances. 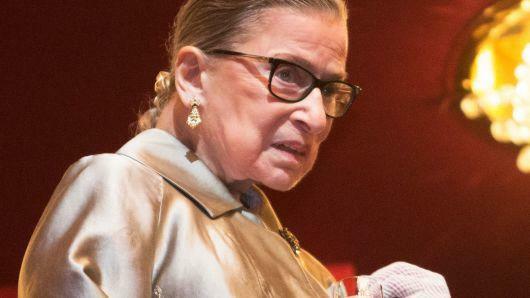 The dire diagnosis comes just one week after Bader Ginsburg said last Saturday that her ribs are "almost repaired" after breaking them in a November fall. Ginsburg reassured a crowd gathered at an event in her honor at the Museum of the City of New York, according to CNN. "[My health] is fine [and] my ribs are almost repaired," she said. Ginsburg also said that, as of last Friday she was able to do her whole workout routine with her personal trainer. We would imagine the 'Left' is about to start panicking since the GOP's gains in the Senate during the Midterms would only ease any new SCOTUS nominees going forward.